One of the most powerful eps there is. It still makes my skin crawl at times. 1. Delenn breaking the Grey Council - wow this just blew me away. 2. When the ship rams the other one (sorry, forget the names). For some reason, this really got to me. 3. When the troops breach the station - no sound effects, just music. A fabtastic bit of television - very moving. The list could go on, but I think this episode redifned TV (more so than earlier eps) for the sheer scale and change in direction that the show took after the events that happened. A whole ton of really great moments. There's a reason this won a Hugo. But we must, of course, carry out our fanly obligation. "This place is under our protection. Withdraw, or be destroyed." "Negative, we have authority here. Do not force us to engage your ships." Ecellant does not give this episode justice.Great scenes and moments and some memorable lines like the tongue lashing she gives the grey council.One of many reasons this ep won a Hugo. I love this ep! Sometimes I still get goosebumps when I watch it! The battle scenes in and outside the station are just awesome! And I love the part where Delenn comes with that Minbari fleet to save the day. I even have what she says to the captain of that EarthForce fleet memorized. LOL, I was kinda wondering if a poll was even neccessary for this one. Shoulda just marked it excellent and been done with it. Is there anyone who doesn't think this is at least one of the best of the whole series? The look on Corwins face and the tone of his voice when the 2nd set of Earthforce ships arrivals always makes me shiver. And of course, Delenn's rescue speech. 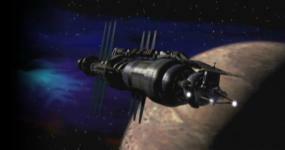 Though it did seem a bit unbelievable that all the Earthforce ships left without even testing her. And of course, Delenn's rescue speech. Seeing her as she made that speech, knowing what a Whitestar and two Sharlins could do to your force of a couple of Omegas and a few support ships, "testing" her could easily result in all the people on the EA ships ending up dead. If somebody that pissed and earnest had a loaded 44 Magnum with its hammer cocked, finger on the trigger, and pointed at your head, would you "test" 'em? I guess the EA Captain just wasn't suicidal. It is worth remembering that anyone who had been around long enough to have reached a rank that would put them in command of a task force (and likely even any of the individual ships, at least the bigger warships) would also have been around long enough to have been a veteran of the Minbari War. They would *know* that their force had absolutely no chance of even putting up a tough fight against Delenn's force. The only way to "test" her resolve, beyond just claiming juristiction and trying to order her away (which already had failed), would involve firing on either her ships or the station. Once that happened, Delenn's resolve wouldn't be an issue. Her ships would return fire as a matter of course. Once *that* happened the EA force was as good as dead .... and all of the EA command level officers *knew* it.